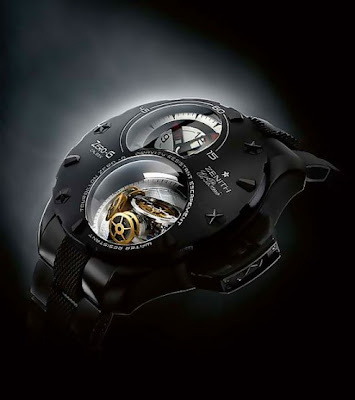 Defy Xtreme Tourbillon Zero-G is a limited edition timepiece manufactured by Swiss watchmaker Zenith. 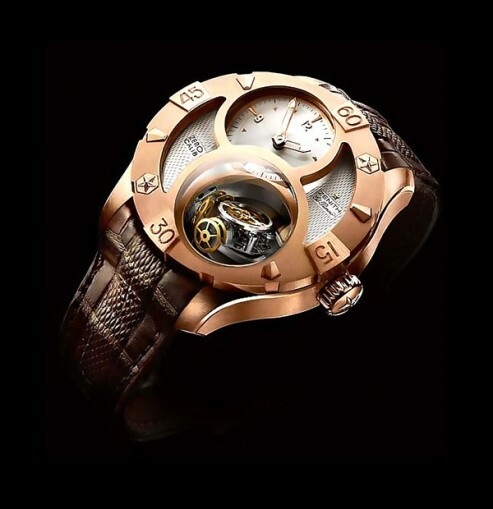 Defy Xtreme Tourbillon Zero-G has a series of conical shaped regulator gears that will have the tourbillon pointing down no matter how you position the watch. This is to ensure optimal amplitude for the spiral balance-wheel achieved. Zenith’s Defy Xtreme Tourbillon Zero-G watch is designed with multi-layered dial clad in Hesalite glass, carbon fiber and aluminum beneath two sapphire glasses, a protected crown, helium valve and a titanium bracelet. Tourbillon Zero-G is capable of handling extreme gravity conditions, and comes with a tourbillon carriage in a free-moving gyroscopic-styled housing.